Joseph Myatt is another unsung food hero of Deptford. Born in 1770 in Maer in Staffordshire, Joseph travelled south to work as a nurseryman for ‘Mad Jack’ Fuller in Sussex. 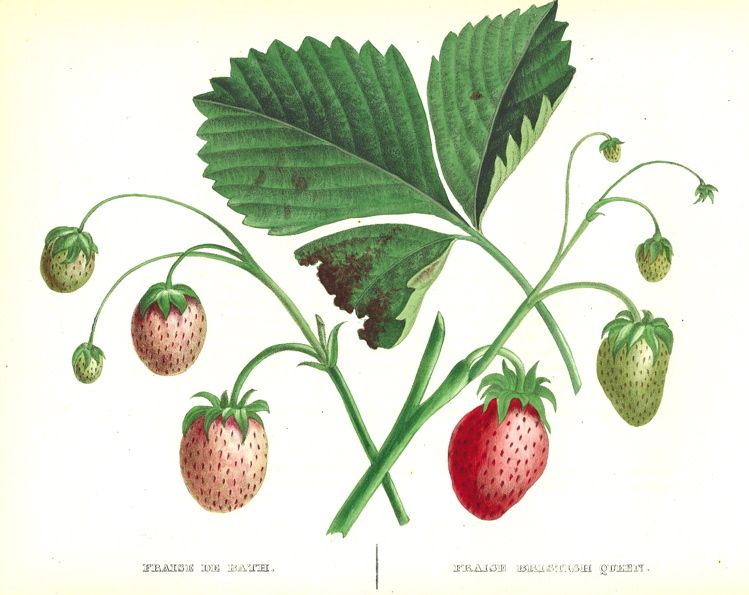 In the early 1880s Myatt brought his family to Deptford and Manor Farm where he began growing strawberries. Before Joseph Myatt rhubarb was considered a medicinal herb. The root was known as a purgative, excellent for constipation, and as a general cure-all. Rhubarb came from China and Siberia, the name is derived from Rha, the old name for the Volga river. Marco Polo wrote of the miraculous root and it began to be traded through Venice into Italy in 1608, and then onward into the rest of Europe. It was extremely expensive simply because of the distance it travelled, at first it was worth more than gold or opium. In 1657 a London pharmacist listed the powdered root at 16/- per pound, nearly three times the price of opium. But no one considered eating rhubarb, it was the stock in trade of the apothecary and the druggist. The 18th C Bow Street Court at 4, Bow Street. 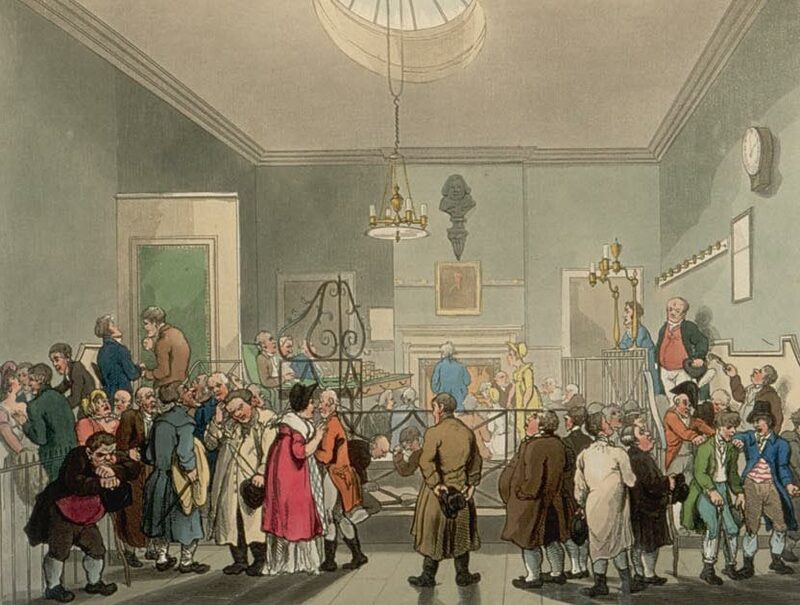 In the year Joseph Myatt was born, one Thomas Davis was charged with stealing musk, saffron, mace and 22 lb of rhubarb from his employers Messrs Kenton and Vazey, apothecaries of Lawrence Lane in the City. The goods were valued at £130, an enormous sum, and Davis was found out because his accomplice Sam Smith offered them to a Mr Winch, a druggist in the Haymarket, who then offered to sell them to Kenton and Vazey. 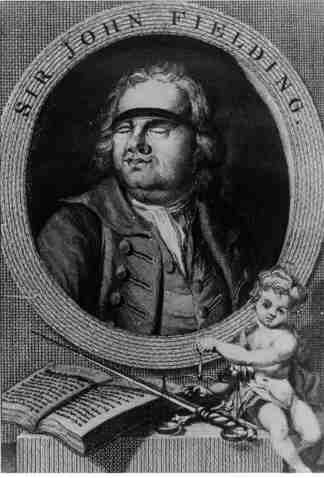 Davis and Smith appeared before the celebrated magistrate Sir John Fielding, the ‘Blind Beak’ and brother of Sir Henry Fielding the author of Tom Jones. In 1749 the Fielding brothers founded the Bow Street Runners and were fearsome guardians of the law. Despite statements of previous good character, the verdict was guilty, and the punishment was death. 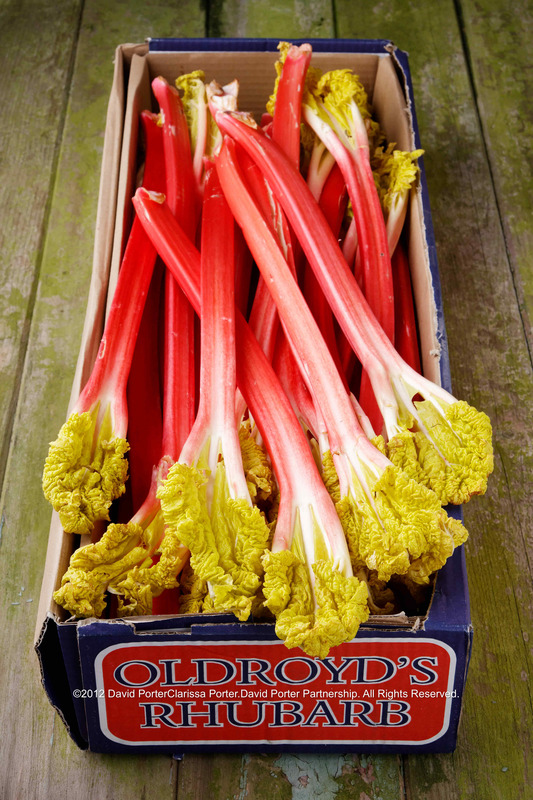 Joseph Myatt experimented with different hybrids of rhubarb producing cultivars of differing colour and flavour. 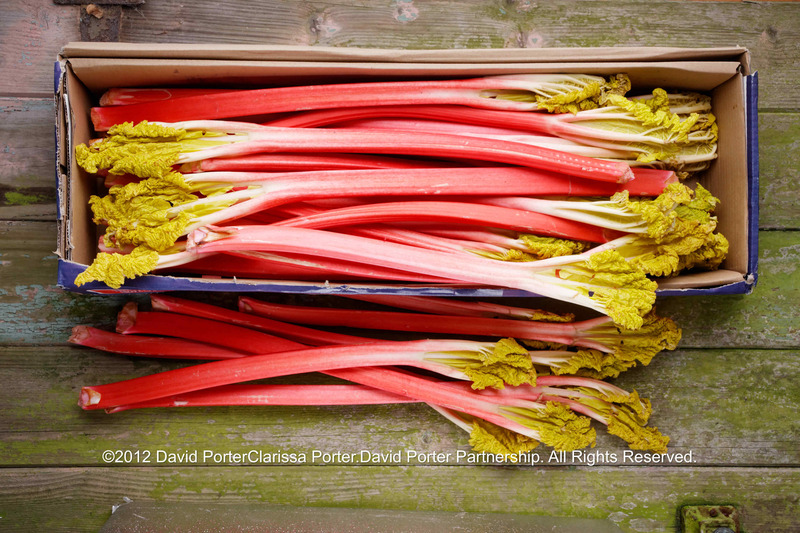 He hoped he could convince the public to eat the stems along with his strawberries, and in 1809 sent his sons to Borough Market with 5 bunches of rhubarb. They only managed to sell 3 bunches to the sceptical traders, but Joseph wasn’t detered and persisted in offering rhubarb for sale. In 1815 at the Chelsea Physic Garden it was discovered by accident that if the plant was covered and kept in darkness it produced sweeter, more tender shoots earlier in the year, so-called ‘forced rhubarb’. But the real trigger to start the change from medicine to food was the arrival of cheaper sugar. By the 19th Century rhubarb was so popular, here and in France, and in America, that demand exceeded supply. 18th C. Advertisement for Night Soil Men. Image from Wikipedia. 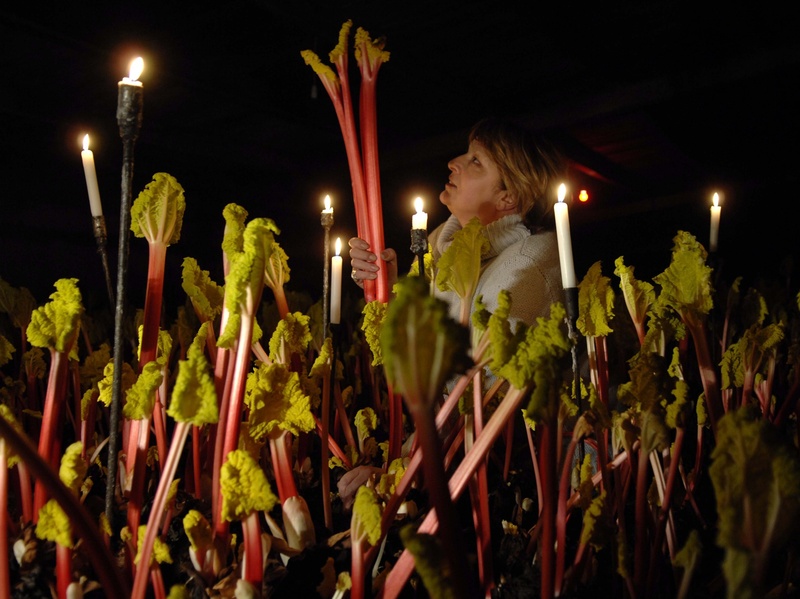 Soon London was ringed with rhubarb fields fertilised with ‘night soil’ (poo!) from the City. Joseph Myatt died in 1855, and was buried in Nunhead Cemetery. The family remained in the area, several Myatts lived in Foxberry Road; his son James took the business to Camberwell where Myatt’s Fields still exists as a park. Joseph’s grandson Frank migrated to Australia in 1906 and started a vineyard still producing wine today, they hold an annual Strawberry Fair to remember where and how it all began! 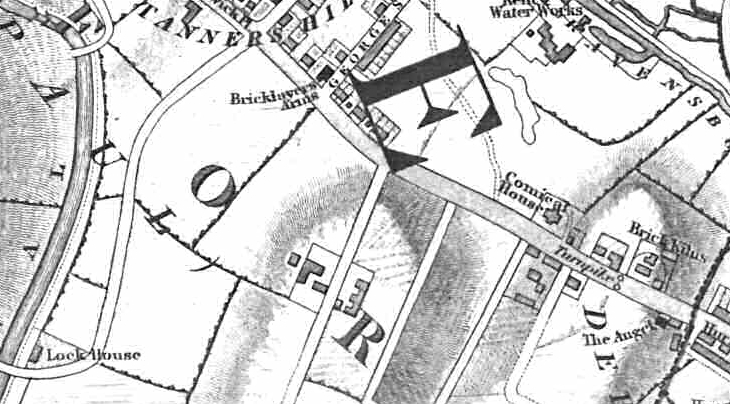 Manor Farm was sold to accommodate the Victorian building boom and the coming of the railways. The farm buildings were between present-day Breakspears Road and Wickham Road; nothing remains but in the 1970s and early 1980s we kept a horse in livery stables behind a house on the eastern side of Breakspears, now developed into Tack Mews. That was probably the last remnants of the farmyard. There are no plaques or statues to Joseph Myatt, he is remembered only by the name of the local school, Myatt Garden, and the street Manor Avenue. The railways were the death of London’s market gardens, and rhubarb growing moved north to the area between Wakefield, Leeds, and Bradford: Yorkshire’s ‘rhubarb triangle’. Here sheds were built to grow forced rhubarb in darkness. The soil was perfect, the water from the Pennines was just right, the mills provided ‘shoddy’ a by-product of wool manufacture used to mulch the soil, and beneath the sheds were the coal mines which produced cheap fuel to heat the forcing sheds. Excellent railway links to the rest of the country provided the final piece of the jigsaw. Rhubarb became more and more popular, soon there were 200 growers and every night during the long season special trains known as The Rhubarb Express took the fruit to Covent Garden. When I was growing up, everyone had a rhubarb patch in their back garden, a leftover from the War, as kids we’d dip a stick of rhubarb into a bag of sugar and happily chew away the hours. During the War the government listed rhubarb as an essential food and fixed the price at 1/- per pound. But ironically wartime rationing of sugar caused a generation of children to turn their backs on rhubarb and the industry went into a steep decline, accelerated by the arrival of cheap exotic fruit from abroad. One of the growers, second-generation rhubarb grower Ken Oldroyd, refused to be beaten and bought up abandoned rhubarb fields, expanding the business. His daughter Janet and her son now run the business, forced rhubarb from late December to March then field rhubarb from April till September/October. They produce over 1,000 tons annually, 200 tons forced in her candle-lit sheds. Janet is something of a human dynamo when it comes to rhubarb and local tourism, winning awards for both, and she’s one of Rick Stein’s Food Heroes. She thinks this is rhubarb’s time, “We all want to eat healthily, and rhubarb is very good for you, we want people to buy our rhubarb because they can afford it and like the taste. Not because it is expensive and exclusive.” The Yorkshire growers have shrunk in number from 200 before the war to just 12 now, but initiatives like the Rhubarb Trail and the annual Food and Rhubarb Festival in Wakefield in February. Rhubarb goes well with both fish and meat. Mackerel with rhubarb compote is very nice, rhubarb with duck, goose, or even black pudding is scrummy. The classic puddings really can’t be bettered, the pies and the tarts, the simple rhubarb and custard, or how about an old-fashioned plate pie of rhubarb cooked in pale ale! Yesterday I was talking to Daman Buckingham, a butcher at Secretts Farm. Daman asked if I had any ideas for a sausage; he wanted to use coconut and ginger and wondered if I had any ideas for the meat content. Duck was the obvious choice, though the texture would be a bit smooth for my taste. I suggested adding rhubarb, we know it goes well with ginger and duck, but I wonder about the coconut? 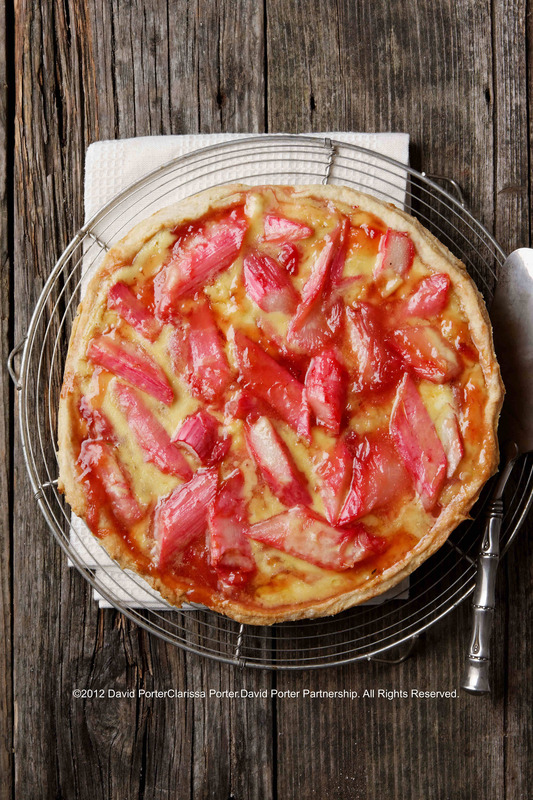 My recipe is a twist on the classic Rhubarb and Custard, a tart to bring back memories, I hope. 1 kg of rhubarb, forced if possible, sliced into 40mm (1.5”) pieces. First make the pastry, and as usual try to do this in cold conditions on a cold surface. With a hand blender and a large bowl whizz together the eggs, butter, and sugar. Then sift in the flour and fold together. Tip out onto a cold floured surface and knead once or twice, gently. Meanwhile, place the rhubarb pieces in a large frying pan, if possible in a single layer. Sprinkle with sugar, add the butter and cook very gently for about 5 minutes, till the sugar dissolves and the rhubarb is nearly but not quite cooked. Pour on a dash of brandy and sizzle for another 30 seconds or so, you’ll have to judge it. Then remove from the heat. Grease a 25cm (10”) flan tin, roll out the pastry and line the tin, baking blind for 15 minutes at 200C (400 F). Remove from the oven and allow to cool then carefully arrange the rhubarb evenly in the pastry case, and pour over syrup left in the frying pan. Whisk the egg yolks, cream and vanilla and pour over the rhubarb. Return to the oven and cook at 200C (400F) for 35 minutes. Serve hot or cold and watch it disappear! This entry was posted on Friday, February 17th, 2012 at 14:30	and tagged with Brockley, Deptford, Joseph Myatt, Manor Farm, rhubarb, Rhubarb Triangle, strawberries, Yorkshire and posted in Deptford, pudding, recipe, food, London, Recipe. You can follow any responses to this entry through the RSS 2.0 feed. oh the romance of it. Hi David, I just found your blog and am addicted. Particularly to this post as I recently moved to Myatt’s Fields and am keen to find out about its history. Would you mind sharing any of your sources of info on the Myatts? Now to devour all your other posts… Wonderful!